If you’re interested in playing darts, you can get the traditional wooden dart boards, that are made from sisal (a type of grass, like hemp), elmwood, or cork. But an electronic dartboard makes scoring much easier. They accept special soft-tip, plastic darts--some even take the traditional brass or steel-tipped darts. And an electronic board can be programmed to score for a variety of dart games: cricket, 301, 501, and more. You also want a dartboard that will last for a long time (the original wooden dartboards had to be treated regularly to repair the pits that were created by the darts going into the wood). 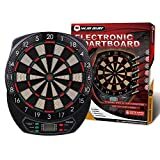 You can get electronic dartboards from nylon or plastic; there are also great variations in how many different games and skill levels the dartboard can allow. An electronic dartboard is covered with a tight mesh. Points are scored when a dart goes into one of the holes in this mesh. 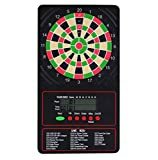 We can distinguish between electronic dart boards by the materials from which the mesh is made. Nylon: The Arachnid products all employ a nylon mesh--this is reputed to last longer. Plastic: The Viper Solar Blast uses a plastic mesh. But customers are pleased with its durability nonetheless. Regulation size: If a dartboard is 15.5" in diameter, then it is regulation size. 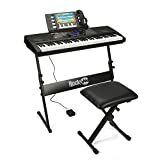 This is what is used in professional tournaments. Less-than-regulation: There are dartboards that are only 13" in diameter. This is purely for recreational use. Bounce-outs: When scoring, some games don’t score a dart that bounces out of the target. The Viper Solar Blast has a thin “spider” (the metal frame between the rings and scoring areas), in order that there are less bounce outs. Some users notice that using heavier darts (18 grams instead of 14 or 16 grams) reduce the chance of the dart bouncing off. Catch ring: Most electronic dartboards are equipped with a catch ring around the target area. That protects your wall if you happen to use steel-tipped darts. 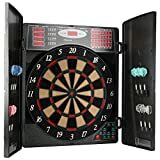 Bilingual model: For Spanish speakers, GLD offers the Viper Specter Bilingual Electronic Soft Tip Dartboard, which announces the scoring in English and Spanish. The board will keep the score, tell whose turn it is to play, and will announce the winner. 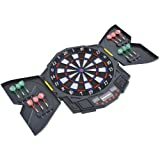 Play against the computer: There are even dartboards that let you play against the computer. The Arachnid Cricket Pro 800 has the computer ramp up the skill level. 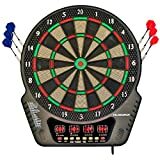 Display scores: There are electronic dartboards that can store 8 or even 16 scores at once. But there is a difference in how many scores they can display at a time. Some only display 2 scores, whereas others display 4 scores at a time. 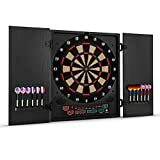 Game variations: There are many dart game variations--and electronic dart boards can score the game for you automatically. The Arachnid CricketPro 800 has 39 different games, with 179 variations, for different skill levels. Holes in mesh: An electronic dartboard will have a tight mesh on the surface, so as to catch the darts. The Arachnid dartboards have square holes in their mesh--this is actually better at trapping the plastic dart tip. The Viper Solar Blast Electronic Dartboard has concave holes. 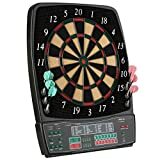 Sound alert: There are electronic dartboards that give a sound to indicate the score, as well as visually displaying the point total. 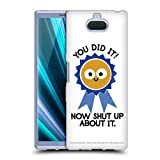 Some dartboards even have a “heckling” feature, that makes sarcastic comments when you miss! Power: Some dartboards run on 3 “AAA” batteries, while others also allow you to hook up an AC adapter to power up the device. Easy-to-read display: Most electronic dartboards have a bright, red LCD display. That allows you to see the score, even at a distance. Winmau--is located in Bridgend, England. 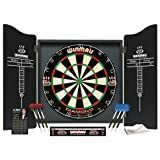 They are makers of darts, dart sets, dartboards, and accessories. They also sell the individual parts of darts (flights, shafts), as well as dartboards and dartboard surrounds. Arachnid--are located in Loves Park, Illinois. They were founded in 1975 by Rudy Allison, and they were the originators of the electronic dartboard. The Arachnid electronic dartboard was key in the formation of leagues and tournaments for dart playing. GLD Products--are located in Muskego, Wisconsin. They are makers of table games (billiards, air hockey, table tennis), board games (backgammon, dominoes, cribbage), dartboards and dartboard accessories. They have two main product lines: "Fat Cat" and "Viper".